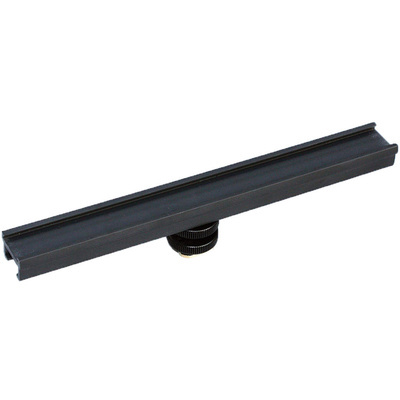 Product #21108 | SKU 037705 | 0.0 (no ratings yet) Thanks for your rating! The Hot Shoe Extension by Rycote makes it possible to attach multiple devices such as lights and microphones to a single hot shoe on your still or video camera. With its ability to rotate 360° you can get creative with flash or lighting by reflecting it off any wall or ceiling. Plus, position a microphone to get the best balance according to the location of a sound source. Depending on the kind of device you're connecting, creative possibilities are seemingly endless with this hot shoe extension.